Why not have your iPhone producing plans too...? Travelling to work on the train and have an idea for a room or house layout..? No problem…. Pull out your phone and capture the idea right there and then! Simple, Fast and Fun for everyone. 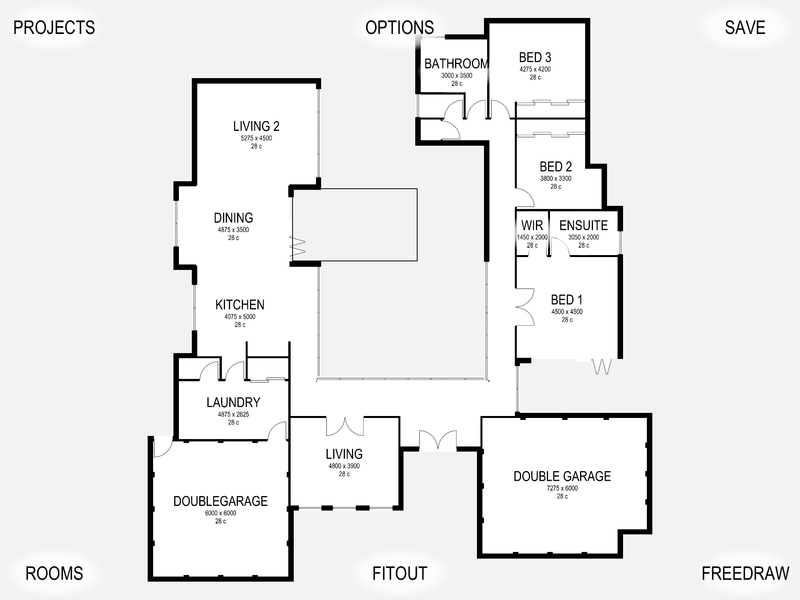 If you can imagine it, you can create your dream home design with Planit2d floor plan creator. 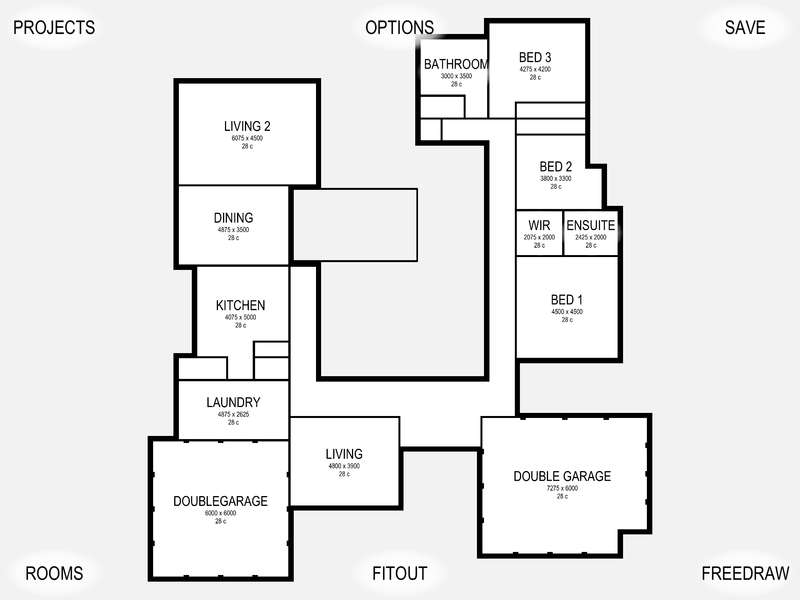 House design has always been a complex task reserved for an architect or other professionals. Planit2d will change the way you think about home design. 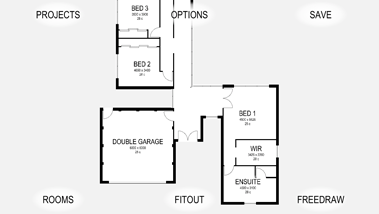 It is the fastest, most user friendly, 2D floorplan and house blueprint maker available on the App Store aimed at anyone and everyone with an idea in their mind, or a sketch on grid paper. · The ability to split and/or hide sections of walls – no architect required! 26.02.2014 – Planit2D LITE has arrived…. grab this fully functional version (minus save abilities) and start designing immediately….. Update to Planit2D full version for the ability to save and export finished images….Don’t forget to rate and review on the App Store. 07.06.2013 – Planit2D v1.0.3 with “Multi-level” capabilities is almost here…. testing the version at the moment and it looks fantastic. How much does Planit2d cost? 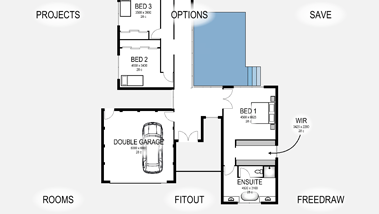 Do I need to know house design guidelines to use this app? 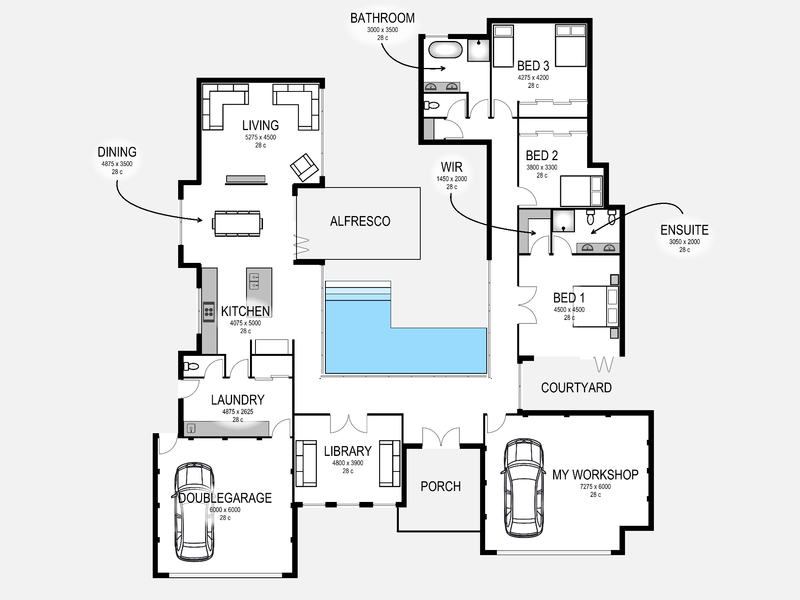 No, Planit2d makes it easy for anyone and everyone to design a home. If you imagine it, chances are, you can create it. What if I have difficulty using Planit2d? Planit2d is extremely user friendly, however if you do have any trouble, check out the tutorial videos. Can I design a multi-storey house? 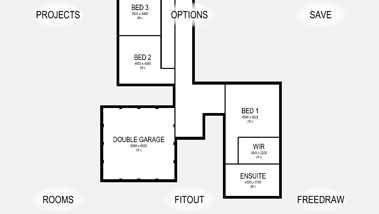 Planit2d supports multiple floors. Tap on the current floor button on the right of screen to see all available floors. Tap a floor to select it and this will also give you the available floor editing options like mirror and duplicate. There is a special Land Floor that sits below all other floors where you can add a land region to your sketch. There is a special Sketch Floor that sits above all other floors where you can insert your own sketches to trace from your photo library. How do I import a sketch? Planit2d supports adding your own sketches to your project so that you can trace them. Tap on the current floor button on the right of screen, and choose the Sketch floor. Tap the background to dismiss the floor selector. Tap ‘Sketches’, then ‘Import Sketch’ and choose a photo from your photo library. You can move, stretch and update the transparency of the sketch by tapping on it when you are on the sketch floor. Tap the floor selector to change back to another floor to begin tracing your sketch. Your sketches will appear above all other floors and will stay fixed in place. You can go back to the sketch floor at any time to edit your sketch. Is Planit2d available on Android? Unfortunately Planit2d is only currently available on iOS. If I want to make a suggestion, where can I do that? Just click on the Contact button to the left and leave your name, email address and comments.